CBF 250 refuses to tickover until completely and utterly warmed through. Even when warm the tickover is fragile and liable to stop. Carburettor checked, cleaned, serviced and inspected to death. Ignition deemed OK due to working fine in all weather conditions. No signs of air leaks and everything has been double checked. Grind / Lap the valves. Thoroughly. I purchased the CBF 250 back at the end of 2013 and I knew when I bought it the tickover was all wrong. The seller started it up and after a few moments it was revving up to 3 and 4 thousand RPM, I turned the throttle stop screw in to reduce it to a much more sensible 1,500 rpm. As it test rode it and the engine warmed up the revs rose once more and I compensated with the screw again. Other than that the bike felt fine and was a pleasure to ride. Indeed just like my 125 the tappets were not just tight - there was no gap at all. 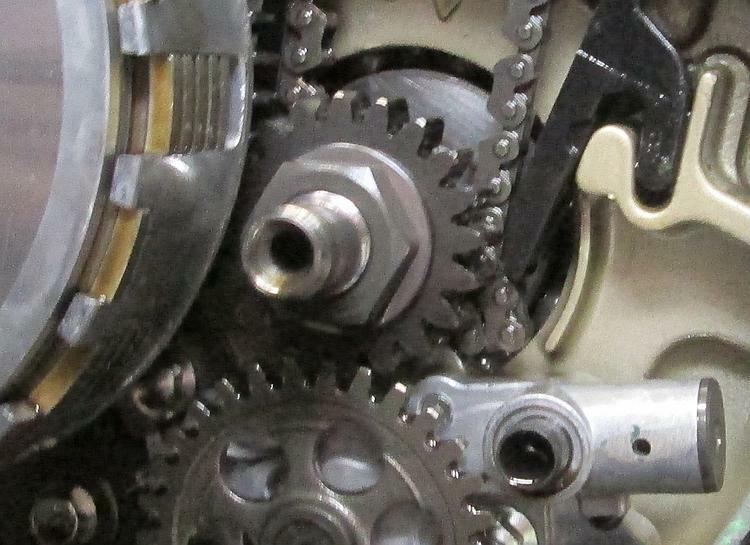 Regrettably unlike the 125 with screw & locknut adjustment the 250 is bucket and shim. 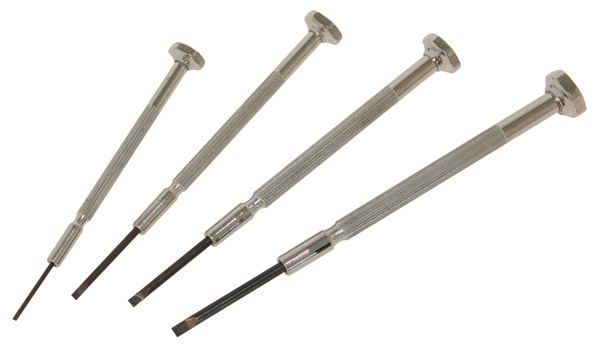 I understand how to "do" bucket and shim tappet adjustment but I'd never done them before. The worst part is you have to find a shim small enough to create a gap, to then measure the gap, to then work out the correct size of shims you need, to then order the new shims and then wait for the goddam things to arrive. After a couple of WEEKS messing around I had the gap between the bucket and the camshaft within some sort of acceptable tolerance. 10 minute job my arse, stupid boy. It made no difference what-so-ever. While I did feel much happier knowing that the valves were in fact closing fully the lack of success was hugely disappointing. I started to think what else it could be. Obviously tickover is set by the carburettor. All internet searches point to the idle circuit. I removed the carb, stripped it and cleaned it. Nope. Replaced the pilot jet. Nope. Endlessly fettled the idle mixture screw. Nope (CBF 250 Carb Issue). Checked for air leaks. Nope. Spread grease all around the various joints to block hidden air leaks. Nope. Put grease on the butterfly valve pivot to block air leaks. Nope. Adjusted the non-adjustable needle. Nope. Checked the spark plug. Nope. Replaced the spark plug. Nope. Recheck and reshim the tappets. Nope. It all looks just as it should really. I went through every single thing I could think of. Then I went through every daft, ridiculous and crazy internet suggestion. I experienced occasional improvements but never once a satisfactory, solid, comfortable and stable tickover. When the bike was totally warmed up it would actually tickover but it was never a happy feeling. All the while there was one nagging thought. At purchase the bike had 10,000 miles on the clock. Let us suggest the valve clearance collapsed at 8,000 miles when the bike should have had it's first service, then it has covered 2,000 miles with valves that are not fully closing. Actually I suspect the 8,000 mile service interval for the CBF 250 is extremely optimistic, the engine typically takes 1.25 litres at an oil change which is nothing. It is possible the valves have been out of tolerance for quite some time, maybe 4,6 or even 8 thousand miles. 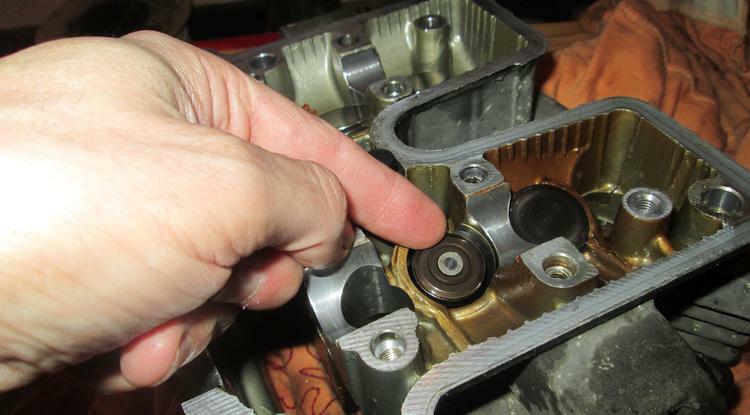 If the valves do not close fully this can damage the seal between the valve and the valve seat. If my valve seats have been damaged would this affect the tickover? If there's no compression the engine will simply never work. But...but what if there's a small leak rather than a big hole? At tickover the slow moving piston squashes the mixture slowly, giving time for some of the mixture to escape via the worn valve seats. This lowers the compression ratio which cools the mixture and makes ignition harder. When the engine is hot there's just enough compression and trapped mixture to sustain a tickover but it is fragile. I'm guessing at this point. Most of all I do not...I really really do not...want to take the head off. I do a compression test - 125psi. It's not a right lot but it seems enough doesn't it? A quick search on the web suggests it's low but not disastrous. I can't actually find a value for the CBF 250 specifically. No, no I don't want to remove the head and the compression test tells me there may be a bit of slack but nothing to worry about. I continue. I ponder 2 options. 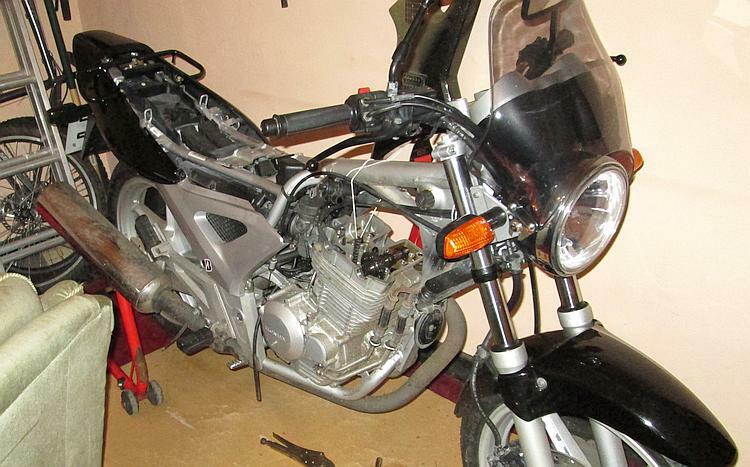 Sell the bike as is and let some other poor sap work it out or keep it and just put up with the issue. I mean other than tickover the bike is a delight to ride and is completely reliable. Over a 2 year period I clock up an additional 16,000 miles taking the bike up to 26,700 miles. It stalls when cold, stalls if I brake too hard and I have to blip it all the time to keep it going unless it's a warm dry day. In these years and miles I tinker, I ponder, I alter and I twiddle. There's times I want to just bin it and get rid of it, there's times I love it and forgive it. It drives me mad. Eventually one day I am in the mood for some tinkering. I park the 250 in the shed, put it on the paddock stand and whip the head off. Much to my surprise it takes me under an hour to get the head off. I borrow a valve spring compressor and remove the valves. 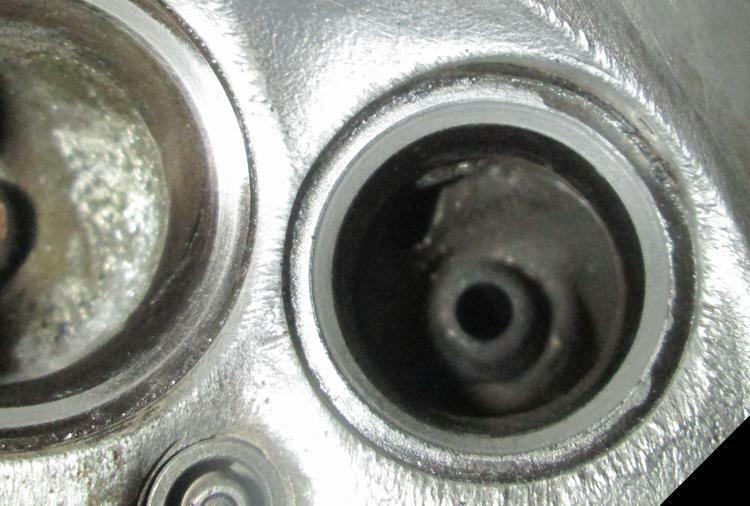 A close inspection, close enough to require I actually put my glasses on, shows that the valve seats look "different" in the area close to the spark plug. The simple fact they're not uniform is enough to cause me to think I may have been on to something with the valves and valve seats. I purchase a grinding (lapping) tool and some paste from Halfords and I start to grind. 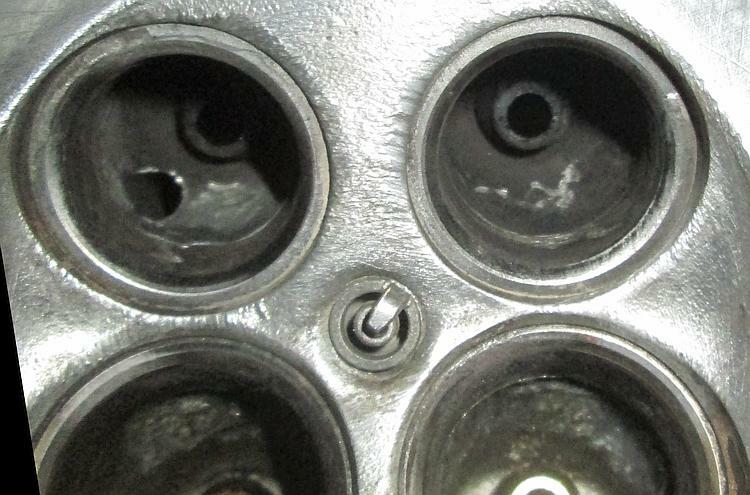 Notice the valve seats near the spark plug are darker and...well...different? Over a period of 4 days I must spend about 5 hours grinding and cleaning, cleaning and grinding. I sit with the cylinder head upon my knee and the TV on while I spin my wooden sucker stick. Particularly on the exhaust the surface takes an age to get to a smooth and consistent state. I feel as though by the time I'm done there will be no valve or seat left. In fact I'm barely touching the surface. It is boring, frustrating and as dull as the mating faces should be. A finished valve seat. There is still just a hint of darkness near the spark plug but I've run out of patience. Putting everything back together takes a lot longer too. I somehow manage to get the cam chain out of kilter at the crank end which requires me to remove the clutch side crank case cover. Luckily access to the cam chain is easy once this is off. Then the exhaust just does not want to play. Even the tank, which has been on and off a thousand times, is in a bad mood and won't slip onto the rubber bungs. See the extra lump of camchain? Stopped the job until I sorted that out. I then start the bike. Kathunk kathunk kathunk. Bit of choke. Kathunk kathunk cough cough kathunk pop pop cough pop pop dum dum dum dum dum.... My first shock is that it actually runs. I've been tinkering with bikes for over 25 years, I was a car mechanic too for a short while once, but I am still convinced that once I strip a motor it will never ever work again. I rev it a little to let the engine breath then slowly, delicately I let the revs fall. Oh lordy. Dum dum dum dum dum...Oh my...dum dum dum dum dum....god...dum dum dum dum...it actually seems...dum dum dum...to be ticking over! I contain my excitement. I make a minor adjustment to the throttle stop screw. That's better. No way. I mean, like, NO WAY! We have tickover. A solid, stable, quiet and happy tickover, as regular and as solid as a Rammstein riff (non metal heads might not understand this). There has to be a catch. I take a 6 mile shakedown ride, keeping within a mile of my home in case something breaks or I've forgotten to tighten something. Each time I stop for traffic or junctions the engine beats away confidently beneath me. Remarkable. So it seems the tickover problem is solved. Worn valve seats. I had guessed it ages ago but I was too lazy and scared to remove the cylinder head. I became blindingly convinced it was a carburettor issue. After all this time. So here's my advice. 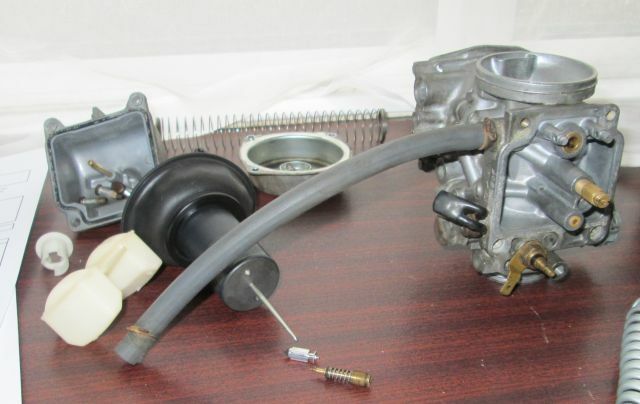 Indeed if you have poor tickover do check the carburettor (or the injection system) first. That is going to be the most likely problem. Then check the ignition system. I was ready to strip my 125 due to a dodgy spark plug cap (CBF 125 Wet Tickover Problem - SOLVED!). Once you've checked the external bits check the tappets. THEN consider the compression which could be valve seats or piston rings. I have noticed many of my repairs have been tickover issues. I am slowly but unwillingly becoming an expert on tickover it seems. As for the 250? Those who know me will know I'm indecisive...perhaps. Do I restore the 250 to a good standard as they're actually selling for stupid prices right now? Maybe, but at 27,000 miles I can't imagine it would fetch as much as the low milers the dealers are selling. Do I just keep it as is for a hack? Possibly, I'm a lazy mechanic. There is another option under consideration though. 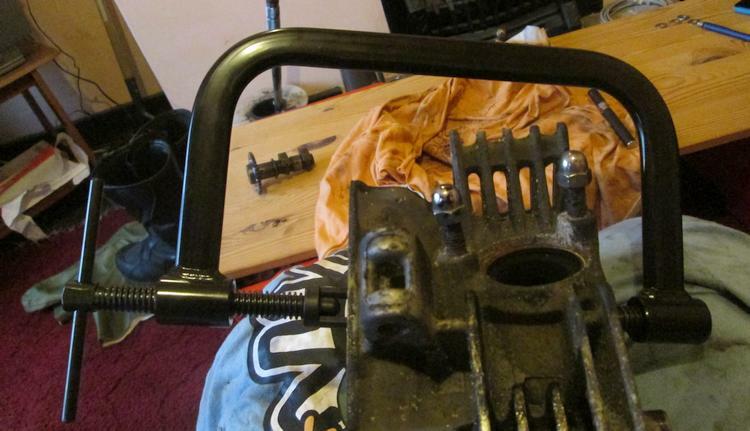 Many BIG thanks to LJ for lending me his most excellent Valve Spring Compressor. "Gas mark 1 for 25 minutes. Allow to cool"
Good work Ren! I had a CB250RS single years ago which would only tick over at 2000RPM, any lower and it cut out. On investigation there was a crack running across the left hand inlet and exhaust valve and all the way up the spark plug threads. I only found it because I was turning the engine over after washing the bike and saw bubbles coming out from the bottom of the spark plug! I also had a GN400 which had worn valve seats, they needed replacing but I couldn't afford to do it, so every 3 or 4 thousand miles the tickover would dissappear and I'd pull the head and re-lap the valves. Cheers Bob. I wish you hadn't mentioned the GN400. You see my valve seats are worn too but I've just lapped the devil out of them and it seems to have been enough. I HOPE... hope they're not going to need doing again in 3-4 thousand miles again. I'd never considered the idea of a cracked head. The problem with the CBF 250 is that they never sold that well in the UK. From various internet searches it seems it did sell well in Brazil where it is made, Spain, Portugal and Australia (due to Oz's licencing laws). But finding a used cylinder head here in the UK is rare. I do know where one is and I may grab that if the problem re-occurs. Guess I would just keep it as it is, and not "scramble" it, seems to me that it is perfect to compliment the 125 for tours where a large part is high-speed motorway in order to reach "new destinations", I vaguely remember you telling that this was in the cards for reaching out to more remote destinations. Hi Henrik. I am certain you will understand what I did to the engine if you watch this video. You speak excellent English but you can't be expected to know every technical word! Took my bike to 2 mechanics? Both tried failed and billed me. Then thought what the hell and checked myself . Found exhaust valve open all the time. Bought a couple of shins . Now starts first time and ticks over shims £2.50 1 hours work. Wish I had the guts to look at it myself in the beginning. Hi Stev. I'm glad you've got your bike sorted. I think valve clearances are the most overlooked source of poor running issues. Just recently Stephen Latchford who contributes to this site was having problems with an old ZZR600. Turns out his valve seats were damaged due to poor servicing. This also seems to escape many professional mechanics too. I suspect because the tappets are a timely and fiddly job it's the very last thing they bother to check, if at all. Anyhow you can do it yourself now so you don't need to pay them for not checking. Basically Mat check and adjust the tappets. If this doesn't work ensure the carburettor is clean and there's no issues like fuelling, air leaks, blocked filters, weak spark, short circuits and the like. When you've eliminated every other potential problem THEN strip the head and sort the valve seats. Good luck, they're a great bike when they're running right. I've got a CBF250 that ain't running right, 17K miles. Its not toooo bad once it is very hot, maybe a bit hesitant in the mid range, but until well hot, it coughs, splutters and often cuts out completely. We found the clearances way out, so re-shimmed it back to where it should be. Wasn't much better. We've had the carb off a dozen times, new jets, ultrasonically cleaned, checked for air leaks, new plug, new ignition coil and it's still not right. Next we're going to do a leak down/compression test. What's the betting we need to grind the valves???? It's not too bad a job on the CBF. Strictly speaking the valve seats ought to be professionally recut but I wasn't prepared to do that so I lapped the hell out of them. The more effort here will yeild better results. Be sure to check and adjust the shims once more when rebuilding. Please please do tell us how you get on and good luck. Hi I was wondering what tool you use for carb adjustment? It's amazingly tight to get at the pilot screw. It was hellish tight to get to the pilot screw! I found a watchmaker's screwdriver could be wiggled and angled in there just enough to make basic adjustments but it was still a pain in the backside.